What’s Happening in the Real Estate Market? This is a pretty common question that a potential home buyer or seller may be asking themselves. Leading economists in real estate converged in New Orleans this past week as they presented their answer to this question at the 50th Annual Real Estate Journalism Conference for the National Association of Real Estate Editors. According to the National Association of Realtors (NAR), the median first-time home buyer age is 30 and many millennials are entering a prime age to drive the housing market into the future. “84% of current renters have the desire to own. While 36% believe they cannot afford a home and 60% of renters believe it would be ‘difficult’ to qualify for a mortgage. The National Multifamily Housing Council (NMHC) revealed that Millennials and Baby Boomers are often competing for the same housing inventory, causing a challenge as these two groups are the largest generations by population. The experts agree that homeownership is still desirable across all demographic groups, with Millennials and Baby Boomers having a great impact on available supply. If your dreams include owning your own home, let’s get together and evaluate your ability to buy now! Did the latest numbers from the Pending Home Sales Index cause you to question if now is a good time to put your house on the market? If anything, it indicated the exact opposite: that this may be the perfect time to sell!! Are Foreclosures Increasing or Decreasing? Recently, there has been a lot of talk about the size of the foreclosure inventory in the nation. There has been some speculation that distressed property inventories are about to skyrocket. Today, we want to reveal what is actually taking place in this segment of the housing market. CoreLogic, in their most recent National Foreclosure Report, reported that foreclosure inventory has decreased by 23.2% since this time last year. The report also showed that foreclosure inventory has decreased in 49 of the 50 states and that 45 states have posted a year-over-year, double-digit decline (see chart below). Though foreclosures do remain in the market, the number is dramatically decreasing. The fact that mortgage delinquency rates are also decreasing means the worst of the foreclosure crisis is in the rearview mirror. Comments: A study by Fannie Mae revealed that only 37% of Americans believe that they have significant equity (> 20%) in their current home. In actuality, CoreLogic’s latest Equity Report revealed that 72.6% have greater than 20% equity. That equity could enable you to build the life you’ve always dreamt about. If you are debating downsizing your home and want to evaluate the options you currently have, let’s meet up so I can help guide you through the process. In school we all learned the Theory of Supply and Demand. When the demand for an item is greater than the supply of that item, the price will surely rise. The National Association of Realtors (NAR) recently reported that the inventory of homes for sale stands at a 4.4-month supply. 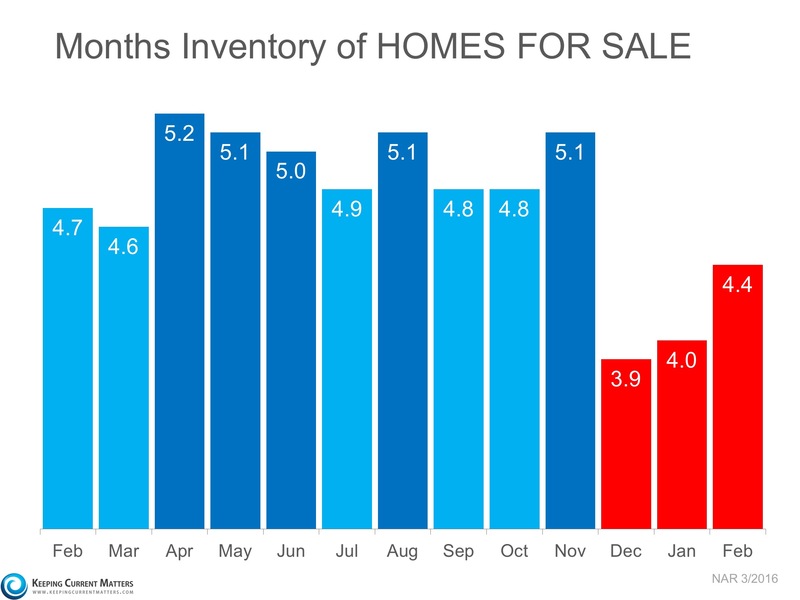 This is considerably lower than the 6-month inventory necessary for a normal market. 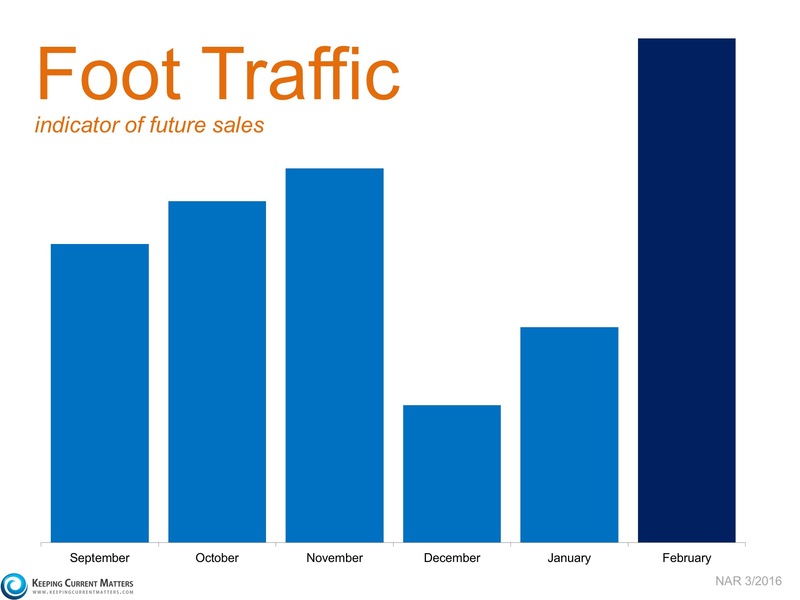 Every month NAR reports on the amount of buyers that are actually out in the market looking for homes, or foot traffic. 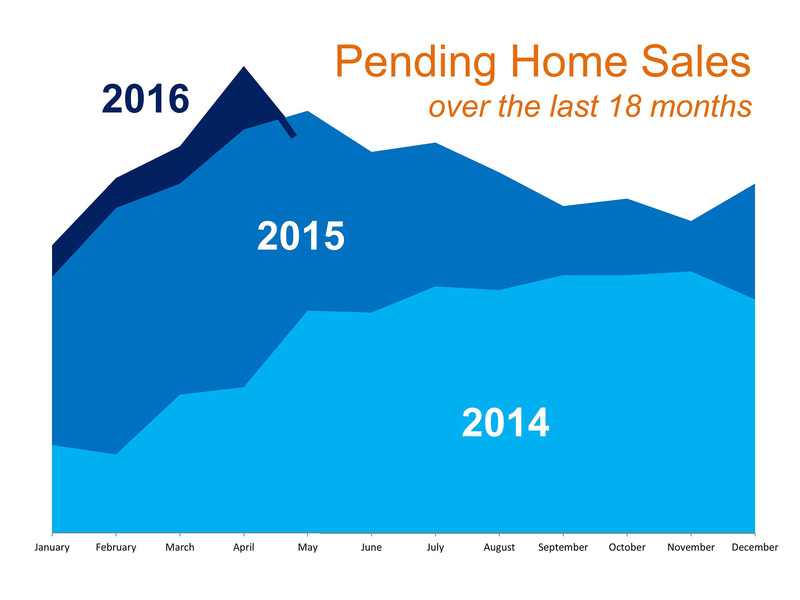 As seen in the graph below, buyer demand in February significantly outpaced the last six months. Many buyers are being confronted with a very competitive market in which they must compete with other buyers for their dream home (if they even are able to find a home they wish to purchase). Many homeowners underestimate the amount of equity they currently have in their home. 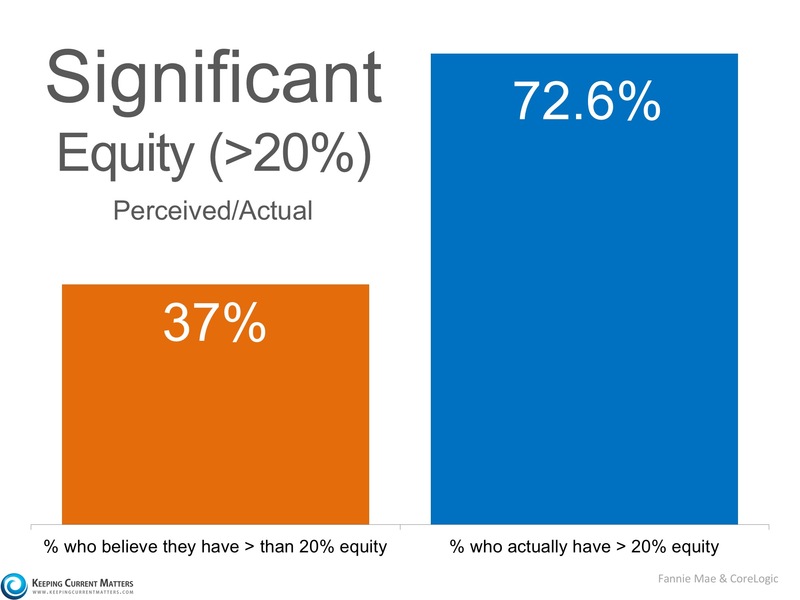 According to a recent Fannie Mae study, 37% of homeowners believe that they have more than 20% equity in their home. In reality, CoreLogic’s latest Equity Reporttells us that 72.6% actually do! Many homeowners who are undervaluing their home equity may feel trapped in their current home, which may be contributing to the lack of inventory in the market. If you are debating selling your home this year, meet with a local real estate professional who can evaluate the equity you have in your home, as well as the opportunities available in your market. Can you see this kitchen in your future? Spring is in full force; the summer months are right around the corner. If you are debating moving up to your dream home, here are four great reasons to consider buying today instead of waiting. 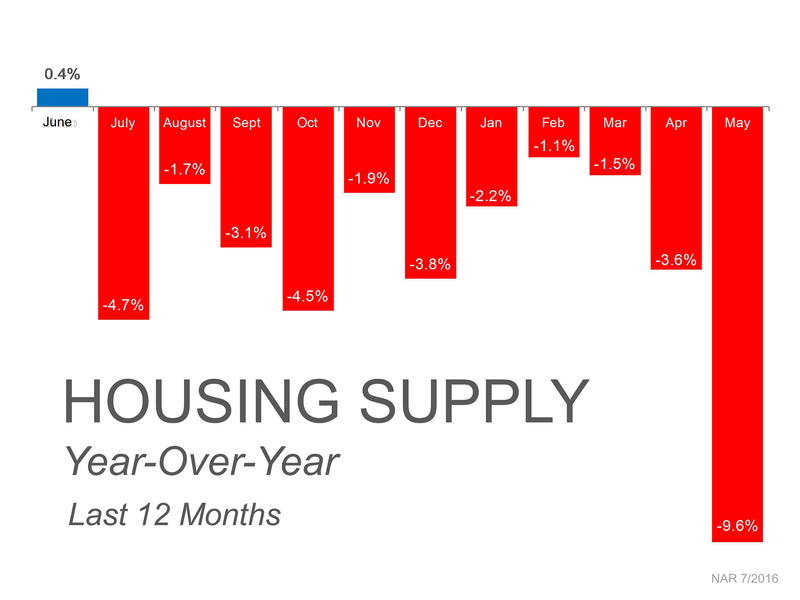 Recent numbers show that buyer demand is at the highest peak experienced in years, and inventory for sale is at a 4.6 months supply, which is still markedly lower than the 6.0 months needed for a historically normal market. The National Association of Realtors, Chief Economist, Lawrence Yun put it this way,“Demand in many markets is far exceeding supply, and properties in March sold at a faster rate than any month since last summer.” Listing your home today can greatly increase exposure to buyers who are out in force and ready to act. The Home Price Expectation Survey polls a distinguished panel of over 100 economists, investment strategists, and housing market analysts. Their most recent report projects appreciation in home values over the next five years to be between 11.7% (most pessimistic) and 27.5% (most optimistic). The bottom in home prices has come and gone. Home values will continue to appreciate for years. Waiting for your current home’s value to increase before selling could price you out of your new home if you aren’t careful. As we reported last week, interest rates have remained below 4% for some time now, and are substantially lower than the rate previous generations paid when getting a mortgage. The Mortgage Bankers Association, Fannie Mae, Freddie Mac & the National Association of Realtors are in unison projecting that rates will rise over the next 12 months. An increase in rates will impact YOUR monthly mortgage payment. Even an increase of half a percentage point can put a dent in your family’s net worth. Whether you are moving up or buying your first home, your housing expense will be more a year from now if a mortgage is necessary to purchase your home. The ‘cost’ of a home is determined by two major components: the price of the home and the current mortgage rate. It appears that both are on the rise. But, what if they weren’t? Would you wait? Look at the actual reason you are buying and decide whether it is worth waiting. Have you always wanted to live in a certain neighborhood? Would a climate change be just what the doctor ordered? Would you like to be closer to family? If the right thing for you and your family is to move up to your dream home this year, buying sooner rather than later could lead to substantial savings.